What is a Hot Tub Filter? Why does a Hot Tub Filter Need a Cover? 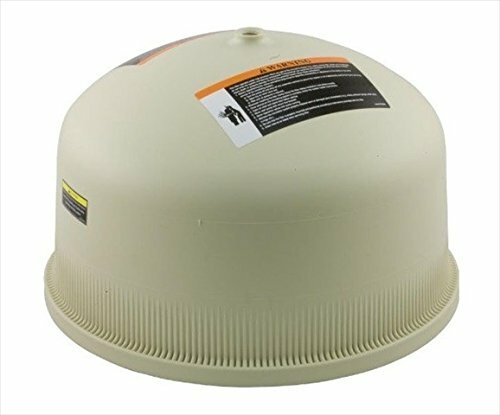 Which Physical Stores Carry Filter Covers? Are you having trouble with your hot tub filter? Do you find yourself often wondering if there’s something you can do to keep your filter safe? Have you had frequent recurring problems with your pump or pipelines in your hot tub? If you answered yes to any of these questions, you need to consider buying a new hot tub filter cover right away! Picking the right hot tub filter lid doesn’t have to be complicated, but if you’ve never gone shopping for this product before you’re in the right place. In this article, you’ll be introduced to nine different, excellent Jacuzzi filter cover products that are sure to help you make the right decision to suit your needs. You’ll be able to narrow down the options based on the brand name and product number of your filter, and you’ll be able to order the best hot tub filters direct to you. Uncovering the mystery of choosing the right filter lid is just a short read away! Of course, if you need to know more about what a filter is or why a filter lid is so important, there’s plenty of information here to help you with that, too. So whether you’re well-versed in your hot tub and all its working parts or you’re a complete beginner when it comes to this important aspect of hot tub ownership, this article is here to help you. So, what are you waiting for? It’s time to get started learning about filters and filter lid replacements so you can choose the right one for your spa. Last update on 2019-04-23 at 12:15 Product prices and availability are accurate as of the date/time indicated and are subject to change. Any price and availability information displayed on [relevant Amazon Site(s), as applicable] at the time of purchase will apply to the purchase of this product. A hot tub filter is an attachment that is usually installed as part of your hot tub and designed to keep debris and other contaminants from entering the water in your spa. At its simplest, it’s made to keep large items like leaves and sticks from drifting through the spa into your pipelines, but it also works to remove bacteria and dirt from the water that passes through the filter media before it ever fills up your spa in the first place. There are many different purposes for hot tub filters, but at their core, they are meant to help keep your water clean and protect the inner workings of your spa so you can enjoy this important part of your backyard for years to come. Hot tub filters come in many different varieties. The most common type of filter system is based on a cartridge style filter media. These filters are usually made mostly of plastic and may be installed directly inside your hot tub or attached to the outside. Either way, they connect to the spa and the pump with pipes and feature a paper or polyester cartridge that filters out bacteria and debris. Sometimes, this type of filter cartridge may also be made from ceramic, which is known to be much more durable and long-lasting, as well as easier to clean. There are other types of hot tub filters available on the market today as well. Some of these types include sand filters, which look like large balls that sit beside the hot tub. These balls are filled with sand, and water is allowed to trickle through the sand to naturally remove bacteria and other particles before the water reaches the tub part of your spa. This type of filter works much differently than a cartridge filter, but it is attached to the spa in much the same way. No matter which type of filter you have, you can increase its lifespan and its effectiveness by incorporating a filter cover into your regular spa setup. Keeping a cover on your filter isn’t usually a requirement, but it is very important for a number of different reasons. Check out this list if you’re wondering if a spa filter cover is really the right choice for you. Hot tub filter covers can protect your filter from potential outside damage. There are a lot of things that can happen to a pool or spa filter when it sits out in the open, and if you don’t have a filter cover in place, the chances of damaging your filter in some way are much greater. With a cover securely fastened to your filter, you don’t have to worry about something falling on your filter system, for instance, and causing a lot of damage that could be very expensive to repair. Hot tub filter covers can keep air from getting into your pump or pipes. If something happens to your filter, the chances of it pulling air into your pipes are very high. From there, the air can travel to the pump in your hot tub and cause a very costly problem. With a cover in place, you won’t have to worry about the potential for much more extensive damage that could occur from air getting into your spa system. Some types of hot tubs won’t operate without a spa filter cover in place. Although this certainly isn’t true of all of them, there are some brands and models of hot tubs that won’t function until a cover is in place over the filter. If there seems to be something wrong with your hot tub and you’ve just installed it for the first time, you might want to double check the instruction manual to see if this is true of your model. Filter covers keep your filter from weathering due to overexposure. If your filter is left to sit out in direct sunlight or in a place where it can be rained or snowed on depending on the time of year, it’s susceptible to cracking, breaking, weakening, and other types of damage related to weathering. With a cover in place, the cover can take the brunt of this damage instead of the filter itself. This way, even if you need to replace a cracked or broken cover, it’s a much less expensive alternative to replacing the whole filter system. Filter covers can keep your filter safer from splashing. If your filter isn’t installed inside your hot tub but instead sits outside it, you might notice it getting splashed frequently from the use of the hot tub. If this happens, there’s a very good chance the filter could become damaged. When there is a cover over the filter, however, there’s nothing to get hurt when splashes happen. There are a few places where you can shop for filter covers in physical stores. Check out these options if you prefer not to do your shopping online. Local pool and spa stores – This is usually the best place to start looking when you’re shopping for spa replacement parts of any kind. Local pool and spa stores are more likely to have a wider variety of options for you to choose from than you might find at big box stores. However, the type of stores that might be in your area depends on your location, so this might not always be a plausible way to go. Wal-mart – Wal-mart doesn’t have a very large pool and spa section, but it does carry a few products, and you might be able to order anything they don’t have in stock for a site-to-store delivery. If you have a very common type of hot tub filter installed, Wal-mart is more likely to have a filter cover that might work for you. Home Depot – Like Wal-mart, Home Depot might not have a lot of choices but they are sure to have something that will work for a more common and modern hot tub filter. Be sure to talk to customer service if you can’t find what you’re looking for, as they’re likely to be able to order it for you. When it comes to online shopping, Amazon has plenty of excellent options to help you find the perfect hot tub filter cover for your spa. Choose from the nine products listed below to find the right filter cover with plenty of great customer service and even, in some cases, the opportunity for free shipping too. 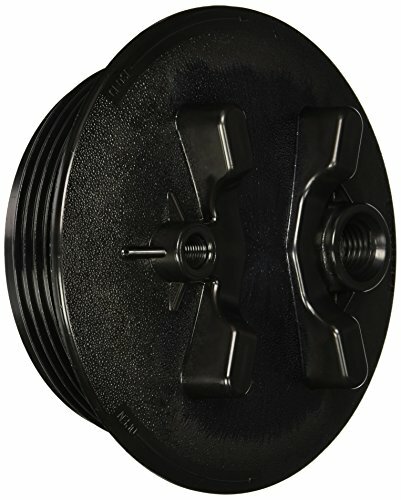 The durable Pentair 178561 Almond ﻿﻿Lid ﻿﻿Assembly Replacement is designed for use with a wide variety of Pentair products in many different sizes. It comes with all the parts you need to install it correctly in your pool or spa, and it’s interchangeable between both in the event you have a Pentair filter in each one. Designed to stand up to plenty of weathering without cracking. Easy to use with existing O-rings and other hardware. Neutral design means this filter cover doesn’t stand out too much around your waterscape. Might be too small to fit older Pentair filter models. Prone to leaking if not installed correctly with the right O-ring. May be physically hard to fit on the filter the first time. 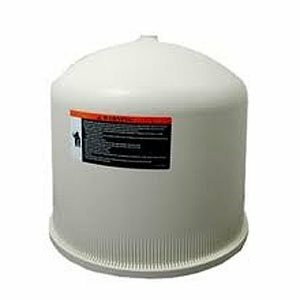 Choose the Pentair 178582 Lid Tank ﻿﻿﻿﻿﻿﻿Assembly﻿﻿ ﻿﻿﻿﻿Replacement for a simple but very durable product that will last you for a long time to come. It’s compatible with several different Pentair filter products and makes it easier than ever to protect your filter. Available in either white or tan to help fit into the aesthetics of your pool and spa area better. Built of durable materials that can withstand a lot of weathering. Designed to stay snugly attached to your filter base at all times to prevent damage. May be too tight to fit over older filter models. May be very difficult to install, especially if you try to use older hardware like existing O-rings. Has been known to leak if the seal is not set properly. The Hayward CCX1000C 100-Square Feet Filter Lid is a great option for anyone with Hayward brand filter products. 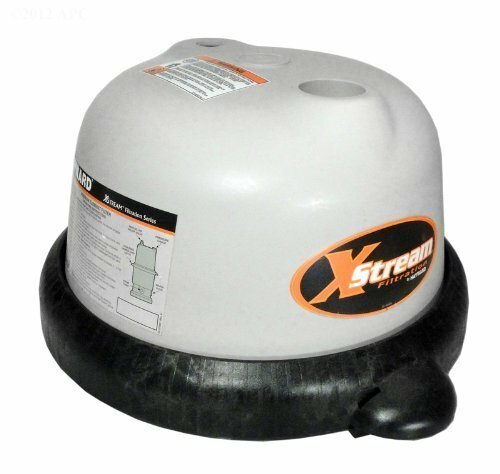 This lid is made to work with many of the most popular current models of Hayward XStream filters, which makes it a good universal choice for anyone working with this brand name in their pool or spa. Built of sturdy materials that can hold up to a lot of use over time. ​Fits snugly onto your existing filter base without any modifications necessary. Designed for a leak-free operation that won’t cause problems down the road. Does not come with necessary hardware including O-rings and other fittings. Pressure gauge with this model is known to break with extended use. Heavier and more expensive product than many of the others listed here. 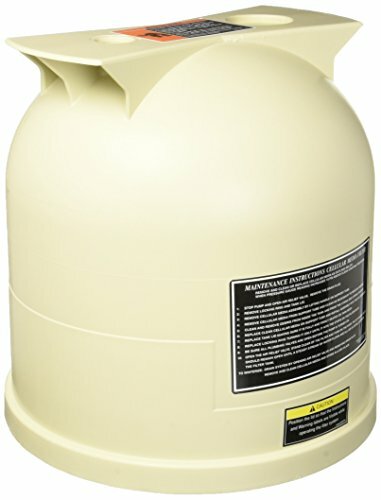 Choose the Pentair 170024 Lid ﻿﻿Assembly ﻿﻿Tank Replacement when you have a Pentair filter from recent years. This product is designed to work well with tons of different Pentair filters, which in turn makes it easier than ever for you to find the right filter cover to suit your needs. Install this one easily and get ready to enjoy a worry-free filter operation in no time. Easy to fit onto just about Pentair brand filter base. ​Easy to install with a very simple procedure that doesn’t take a technician to figure out. Smaller and easier to fit into tight areas than some of the other filter covers listed here. The aesthetic design of this filter cover isn’t very sleek and might not fit well with your pool and spa setup. Thinner plastic means this filter cover is more prone to breaking over time. This product cannot be used with many older Pentair filter products. 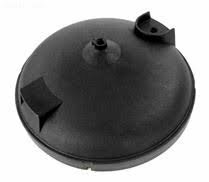 The Pentair 178553 ﻿﻿Almond ﻿﻿Lid Assembly Replacement is designed to work with many Pentair products and provide an excellent filter cover option for anyone shopping on a budget. If you have a Pentair filter in place, this could be the best low-cost alternative for you in terms of choosing the correct filter cover. Sleek design and almond color fit naturally into any backyard setting. ​Much more affordable than many of the other products listed here. ​Works with a variety of different filters from the Pentair brand. May develop cracks over time with extended use, especially in direct sunlight. May be hard to fit onto filter bases from previous generations of Pentair filters. May be difficult to install without assistance. Choose the Pentair ﻿﻿﻿﻿55022000 ﻿﻿﻿Lid Replacement when you have an Eclipse style side mount pool or spa filter. This is a difficult filter to find a cover replacement for, so if you’ve been looking for a long time and haven’t been able to find the right one, you’re in luck. 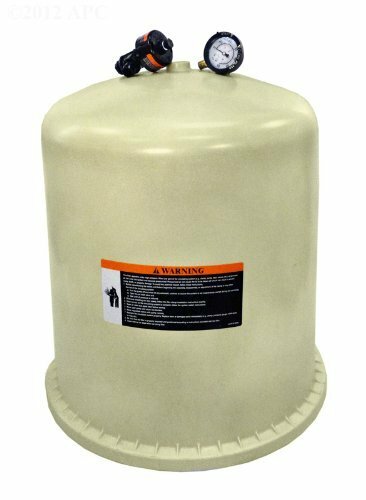 This durable product is designed for use with this unique type of sand filter to help you keep your filter operating as smoothly as possible for a long time to come. Fits a less common type of filter that might be hard to find pieces for. ​Very affordable and comes in well under the cost of many other filters listed here. ​Small and sleek with a design that won’t stand out when installed. Prone to cracking when installed at an incorrect angle. May become weakened over time with extended use and provide less of a seal. Does not come with all the hardware needed for installation. The Pentair ﻿197137 Lid Replacement is a good solution for anyone with a Pentair brand filter. Although it doesn’t work with every series from the Pentair line, it is compatible with quite a few, and particularly works well with slightly older products that might be harder to find pieces for today. This is a very large filter cover that makes it easier than ever for you to monitor your filter’s functionality on a day to day basis. Choose this interchangeable product whether you are looking for something for your spa or your pool. Includes all valves and gauges needed for correct operation of this product. ​Easy to install even if you’ve never worked with a filter cover before. ​Can be painted to fit with the aesthetic design of your backyard. Much more expensive and larger than many of the other products listed here. Prone to cracking when left out in direct sunlight for a long period of time. Does not come with an O-ring, which is required for installation. 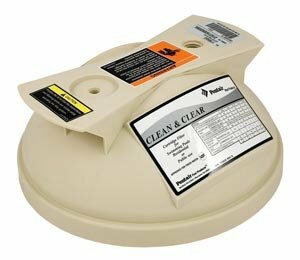 Choose the Jacuzzi 42-2758-18-R Tank Lid if you have a CFR25 or CFT25 Jacuzzi brand filter. This is a very specialized type of filter cover that can only be used with these two types of filters. Although it isn’t very universal or interchangeable, it is a great solution for anyone with these two less common types of filters. Designed to replace a hard-to-find piece on a less common model of hot tub. ​Small and sleek design that won’t stand out or be in the way during use. ​An affordable product that should come in well under most budgets. This filter cover is not compatible with many different products, which makes it less universal than many others listed here. This cover is not interchangeable with any other models of hot tub filter other than the Jacuzzi brand. May be difficult to install if you’ve never worked with filter covers before. 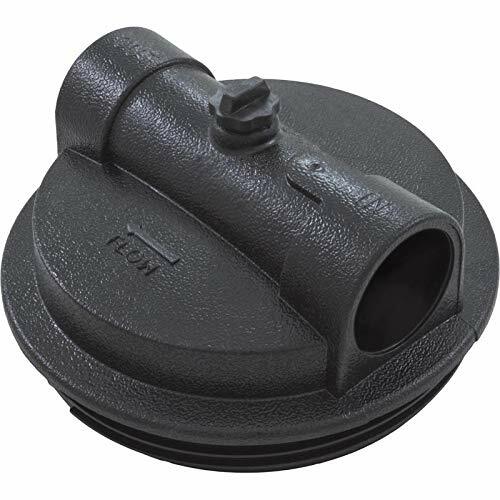 Purchase the Jacuzzi 42-2852-05-R Tank Lid when you need to replace the filter cover on your Jacuzzi brand hot tub filter. This is a specialized type of filter cover designed for use with only a handful of specific filters, but if you have a Jacuzzi hot tub chances are good this filter cover is right for you. However, it may not work with filters from previous hot tub generations, so be sure to check your model number before you buy. The sleek and sophisticated design looks nice and blends in well to any hot tub. ​Easy to install even if you don’t have much experience with products like this. ​Can be used with existing hardware if you already have the right filter in place. Can only be used with Jacuzzi brand products, making this filter less universal. May not come with all gauges and other parts needed to monitor your filter well. Does not have all the features you might find with other brands of filter cover. There is a lot to learn about the world of hot tub filter covers, and you’ve only scratched the surface by looking through this article. Although you might be ready to make your final choice and head out there to buy your new filter cover right away, remember that there are a few things you should learn before trying to install it on your own. Educate yourself about the proper installation process and always be sure to read the instruction manual that comes with whichever filter you choose. No matter which option you select, remember that these 9 filter covers are some of the best available on the market today. When you choose one of these, you’ll have access to an excellent, durable product that’s sure to last you for a long time to come. You won’t be disappointed, and you’ll be able to enjoy the use of your filter without worrying about potential damage along the way. All you have to do now is pick your favorite from this list, order it, and get ready to appreciate your new filter cover replacement right away. Don’t forget to learn more about filters and filter covers to help you understand your relationship with your hot tub even more!